that is a gorgeous stencil. beautiful card. I got tired just reading all your summer adventures! Oh I love this...especially the touch of wood. Oh it's gorgeous! Where do you find those little wooden dots, m'lady? I do think you need a vacation from vacation! What a great summer you've had! BEAUTIFUL card. I LOVE stencils. You have shown Mighty bloom so many great ways it finally is sitting in my cart! This is stunning!! I LOVE that stencil. The colors you used are so beautiful!! 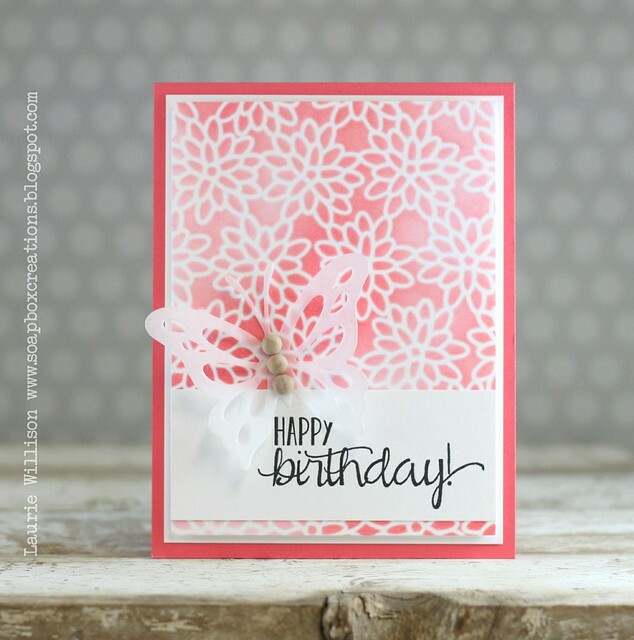 Such a soft pretty card I love the color as well that stencil Is beautiful. Enjoy the long weekend and then back to a routine which I hope makes things a little easier for you. Berry Sorbet is gorgeous! 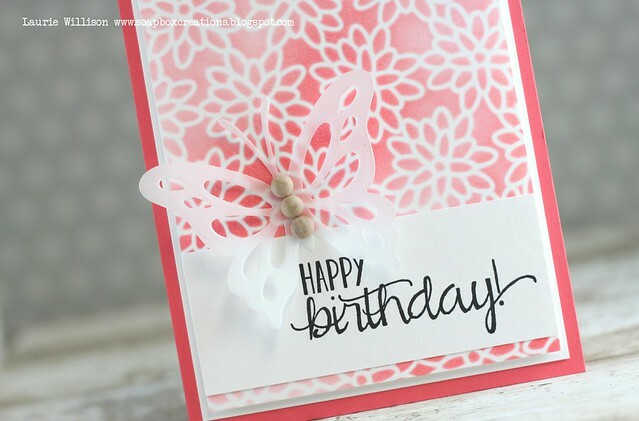 I love the soft backdrop to the sweet vellum butterfly.